Investors and analysts have been reacting largely positively to the new BlackBerry 10 OS and Z10 smarpthone launched late last month, but one of BlackBerry‘s co-founders won’t be along for the ride. 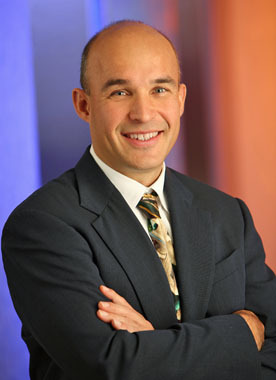 According to filings with the U.S. Securities and Exchange Commission, it appears that BlackBerry co-founder Jim Balsillie had sold off his 5.1 per cent stake in the company formerly known as Research in Motion, and no longer holds any shares in the company he founded with partner Mike Lazaridis and helped grow into a company that once dominated, and helped to define, the global smartphone market. Lawyer Thomas O. Gorman of Dorsey & Whitney LLP, D.C. told the Financial Postthat the filing indicates Balsillie has sold all his shares. Lazaridis remains BlackBerry’s largest shareholder with a 5.67 per cent stake. Balsillie’s selloff could be viewed as a lack of confidence in BlackBerry’s prospects, although he has already been distancing himself from the company since he stepped down as co-CEO last year and later resigned his seat on the board of directors. Whatever the reason for his departure, it does raise a question that many entrepreneurs will have to deal with at some point: at what point does the co-founder step aside from the company they founded? Some analysts felt that Balsillie and Lazaridis stayed on as RIM’s co-CEO’s for too long, and should have stepped aside to appoint another CEO better able to steer the company into the future sooner. It can be difficult, though for someone who has been so close to the business to know when the time is right, which is why a strong and independent board of directors can be so important.